Hello everyone, and welcome to the Open Forum. This is a place to talk about life, video games, or anything else, so feel free to hop in and join in the discussion. When you're done, feel free to peruse the articles on TAY and TAYClassic. Is this your first time on TAY or the Open Forum? Then check out this handy TAYTorial! If you still can't get enough of us, stop by the IRC Chatroom. Finally, if you need to reach an admin or author, find them fast in theDirecTAYry. Good Morning! Good Morning! Here comes the sun goo goo ga joob! Ok so I'm just gonna put this out there since I'm sure I'm the only person to remember this. 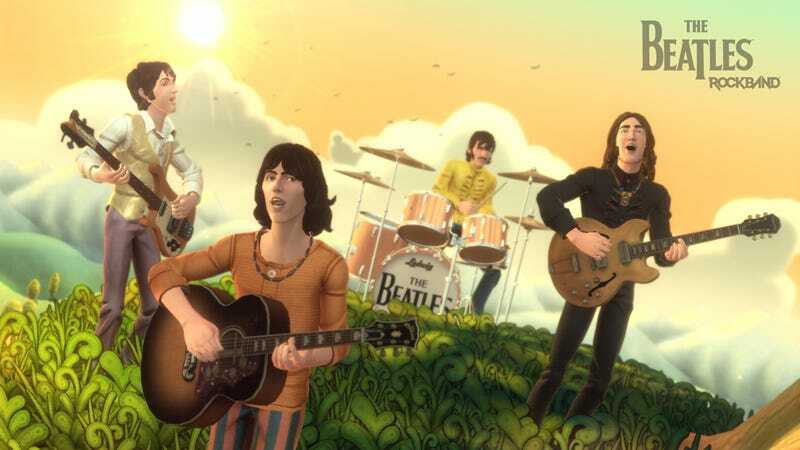 The day was September the 9th of the year 2009 EA and Harmonix released The Beatles: Rockband. It's now 5 years old! Its definitely underrated considering all the work that went into it. It has a visual style all its own and the tracks on the disc are top shelf. I should also throw SEGA a bone and wish the DreamCast a happy birthday since we're celebrating 9/9 anniversaries. GTA 2 was the best on that console! Anyway, many of you will be playing Destiny all day and so will I. Hopefully UPS doesn't take their sweet time. What are some of your favorite songs involving outer space or planets and the like? I'll get you started!